We are knowledgeable, and determined Rochester injury attorneys that dedicate our practice to protecting the rights and interests of injured parties. 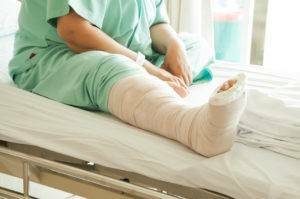 We work to ensure that injured parties receive the maximum compensation for all of their injuries and losses. We have an excellent reputation and track record for obtaining high dollar settlements and jury verdicts for our clients in even the toughest of cases. Simply put, we are Rochester injury lawyers who represent anyone who has been injured due to the fault of another. In cases where the at-fault party is a governmental entity, the timeframe for initiating a claim may be as little as 90 days. In cases involving medical negligence or medical malpractice the filing deadline is typically two and a half years from the date a party suffered their injuries. Most other personal injury and wrongful death cases in New York have a three year statute of limitations. These include injuries suffered from motor vehicle accidents, premises liability, product liability, and toxic exposure. It is important to consult with our skilled and experienced Rochester injury lawyers so that you can be sure you won’t miss a filing deadline for your case. It is of the utmost importance to retain one of our experienced Rochester injury lawyers as soon as possible so that each category of your economic and non-economic damages can be accurately accounted for from day one. One of the classic errors an unrepresented party typically makes is failing to account for each specific category of losses and harms. In many cases, our office utilizes experts such as economists, life care planners, and vocational experts to ensure that all of our client’s damages and losses are fully taken into account and maximized for settlement negotiations or trial. Were you injured in an accident? Our dedicated Rochester injury lawyers will fight for you! At Friedman & Ranzenhofer, we welcome the opportunity to represent you as your lawyer. We would be happy to speak with you – and see if one of our attorneys can help get you back on your feet. For over 20 years, we have been representing Western New York clients who have been injured in various types of accidents. When we meet with an injured client for the first time, they often believe that they don’t deserve a large settlement for their injury. However, the insurance companies have annual profits of $60 billion, and in many cases they will fight tooth and nail to pay as little as possible. How much is your health worth to you? At Friedman & Ranzenhofer, our Rochester injury lawyers consider it their responsibility to ensure our client’s settlements are as large as possible. We believe that insurance premiums are not paid to line the pockets of insurance companies, but to ensure that when life-changing events happen, the average man and woman on the street is taken care of. In order to achieve the maximum settlement, we will need your help. The two most important things to remember in cases of personal injury are evidence and witnesses. One of the first steps we advise clients to take in injury cases, after ensuring everyone is okay is to write everything down, or have someone help you keep a record of everything that has occurred. The next step is to contact our experienced Rochester injury lawyers for knowledgeable guidance, and aggressive representation you can trust. When you or a loved one has suffered severe personal injuries, you only have one chance at getting the fair compensation you deserve. The wrong outcome can have a catastrophic impact on the financial future of you and your family. We are trusted and determined Rochester injury attorneys who pride ourselves on getting that one shot right for you. We understand how much is riding on your case and we ruthlessly fight to ensure that each of our clients receives the maximum possible compensation for his or her injuries. For decades, we have made it our business to protect the interests and rights of injured parties. For us, assisting injured parties is not just a profession; it’s our calling! Make the right decision and allow us to handle your personal injury case today. There are no costs or out-of-pocket expenses to you, as we work on a contingency fee basis. We only get paid when we win your case, so you have nothing to lose. Call for a free consultation so that we can start work on your case immediately. When you’re injured, you can’t afford to gamble with your future. Rest easy and place your case in our trusted and experienced hands. Let us work for you. Call today. If you have been seriously injured by the negligence of another, you need a law firm with decades of experience handling personal injury claims. Contact Friedman & Ranzenhofer today to schedule a free no-obligation consultation with a dedicated Rochester injury attorney.